Zoom, an enterprise video communications technology provider, has introduced a new channel charter featuring a series of initiatives designed to make the experience of working with the company easier and more profitable for reseller and referral partners. The channel charter is a focal point of Zoom’s program to expand its global footprint, grow into new customer segments, and increase product sales for Zoom Rooms. It also complements deployments made through an ecosystem of technology providers and certified integrators announced earlier this year. The new channel charter, rolling out to existing and new partners, includes an expanded partner portal featuring more deal registration, marketing, and training resources. The company is offering new joint marketing programs plus a new reseller training program with certifications and sales enablement. 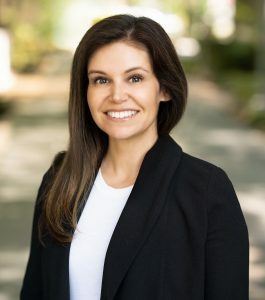 The new portal, built on the Allbound platform, now enables all Zoom partners to register deals, not just those who buy directly from the company, said Laura Padilla, head of BD and channels for Zoom. It also gives distributors enhanced visibility to all transactions. The portal provides access to marketing and training materials. The company is also planning to use the portal to deliver campaigns and other marketing tool kits to partners. The new portal can now be accessed by referral partners, said Padilla, where they will find training and marketing materials and can submit leads. “We’re doubling down on our referral program to truly enable these partners to work with us and generate more leads,” said Padilla. Padilla has tagged partner engagement as a key indicator of the success of the new program. “We’ll be looking at how engaged our partners are with us, how much they are attending our training sessions. Are they joining our webinars? And, of course, are they closing deals?” she added.